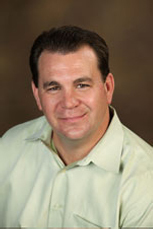 With decades of experience, Dr. Joe Hall has been specializing in foot and ankle care. He is a member of the American Podiatric Medical Association as well as being a fellow of the American College of Foot and Ankle Surgeons. Dr. Hall was also a very active member of the Healing the Children Organization and has traveled around the world to help those in need. He is board certified in both Foot and Ankle Surgery and Rear Foot Reconstruction. He is also an active member and past president of the Mill Creek Rotary Club. 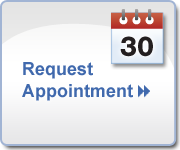 4/02 – present, Private Practice, Mill Creek Foot & Ankle Clinic, P.C., Mill Creek, WA. 10/98 – 4/02, Private Practice, Seattle Foot & Ankle Clinic, Mill Creek Foot & Ankle Clinic, Seattle, WA. 10/99 – 1/09, Chair, Department of Continuing Medical Education, Northwest Podiatric Surgical Residency, Providence Hospital, Seattle, WA. 1/98 – 4/98, Chief Resident @ C.C.P.M. 7/97 – 10/97, Kaiser SanFrancisco Rotation with John Schuberth, D.P.M. and Kathleen Clasby, D.P.M. 7/96 – 11/96 Kaiser Santa Rosa Rotation with Steve Palladino, D.P.M. 1995 – 1996 Trauma, Orthopedic, Plastic Surgery, and Dermatology Rotations at San Francisco General Hospital. A Four to Five Year Follow-up of the Acumed and Bioaction Implant Systems in First Metatarsophalangeal Joints: A Retrospective Review of 30 Cases”, American College of Foot and Ankle Surgeons Annual Meeting and Scientific Seminar, February 1998, Orlando, Florida. Resident Lecture series @ Pacific Coast Hospital: Post-operative Pain Management, March, 1997. Grand Rounds @ Pacific Coast Hospital: First MTPJ Arthrodesis with Autogenic Calcaneal Bone Grafts, October, 1997. Weekly lectures to 3`d year Podiatric students, July 1996- present. Grand Rounds @ SanFrancisco General Hospital: Common Pedal Soft Tissue Lesions, Oct. 1995. Board of Advisors, Northwest Podiatric Foundation for Education & Research, U.S.A.